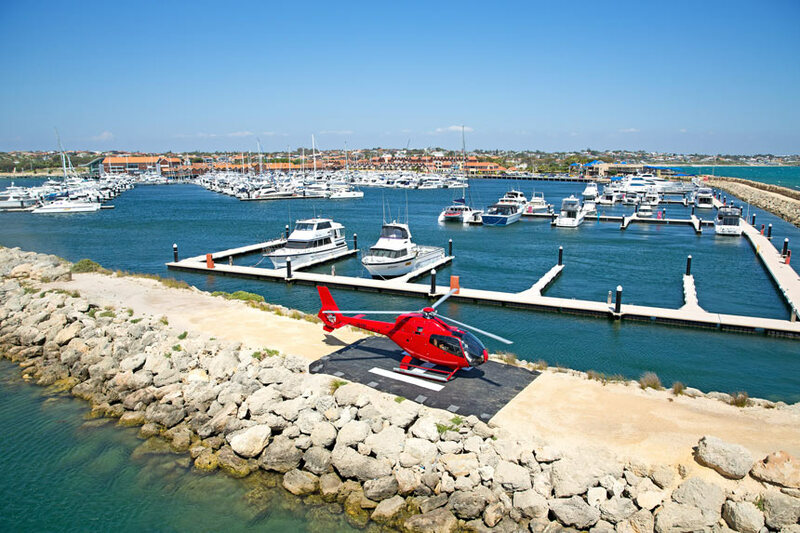 Marvel at the Swan River, Perth City and our breathtaking coastline as you lift off from our exclusive Helipad at Hillarys Boat Harbour where the spectacular scenery starts from the moment you lift off. 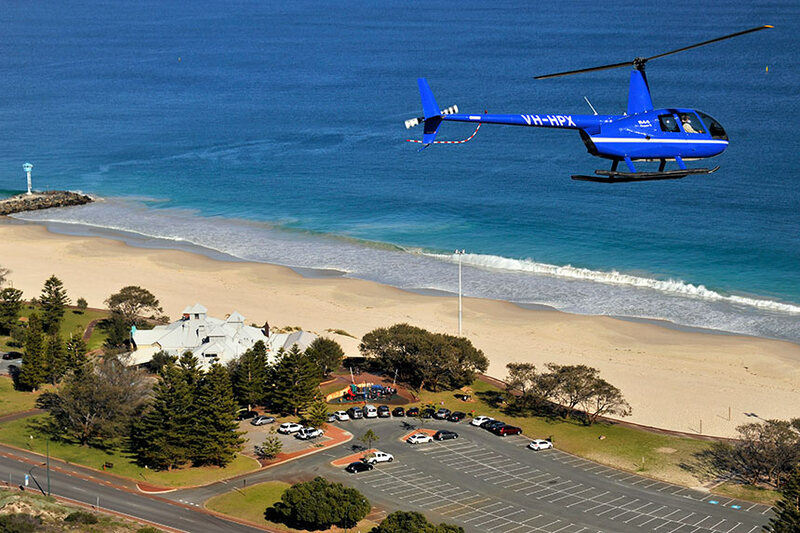 Whether you do the 8 minute coastal experience flight or the 15 minute flight to Rendezvous Hotel Scarborough you will be captivated by our spectacular coastline. Single seats available. 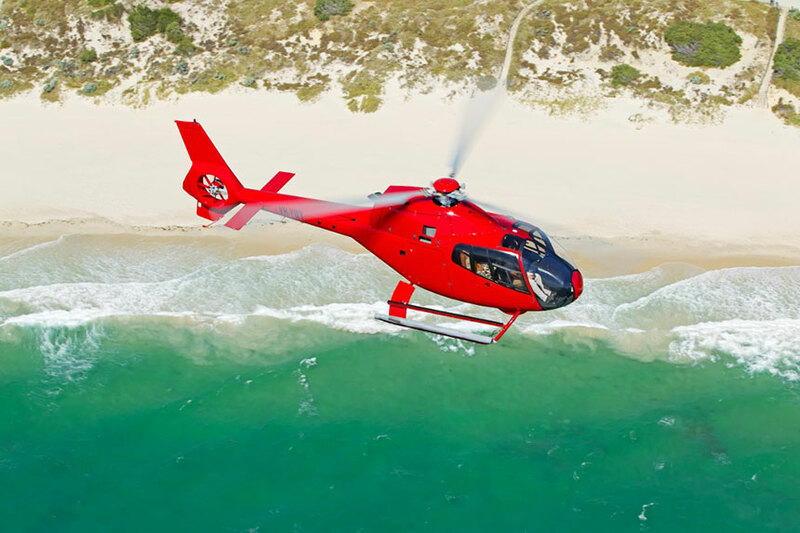 You can also choose the private option with a minimum of 2 passengers and have the whole helicopter to yourself! 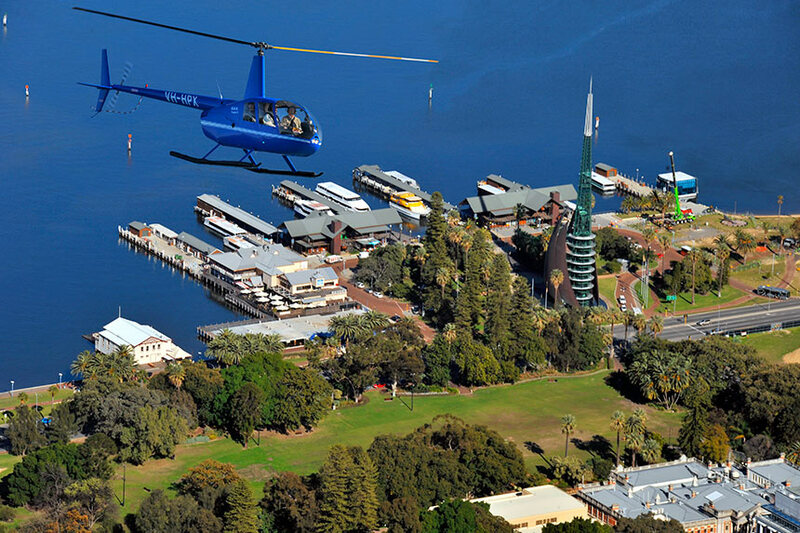 Like to go to Perth City after soaring along the coast. 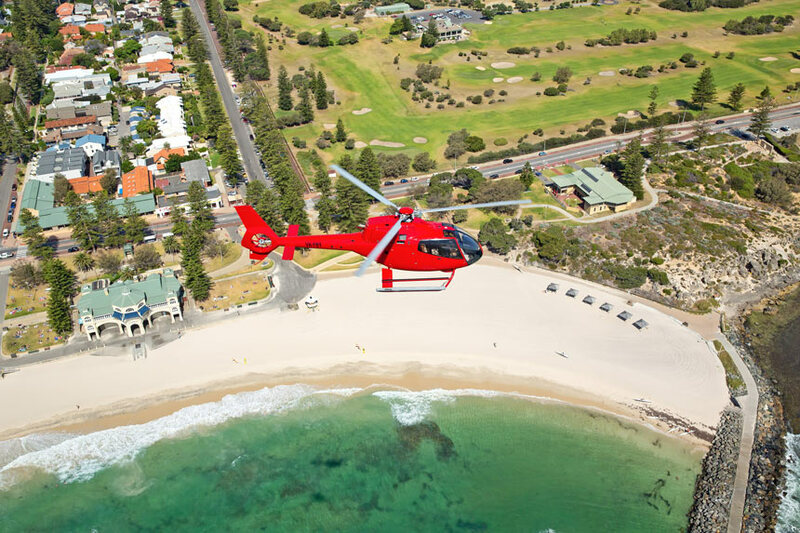 Private Perth City Flight options available below seven days a week. Our system shows real time flight availability right here on our website. When you’ve decided which flight you wish to book, simply click the Book Now button in the table below, choose your departure time and follow the checkout process. 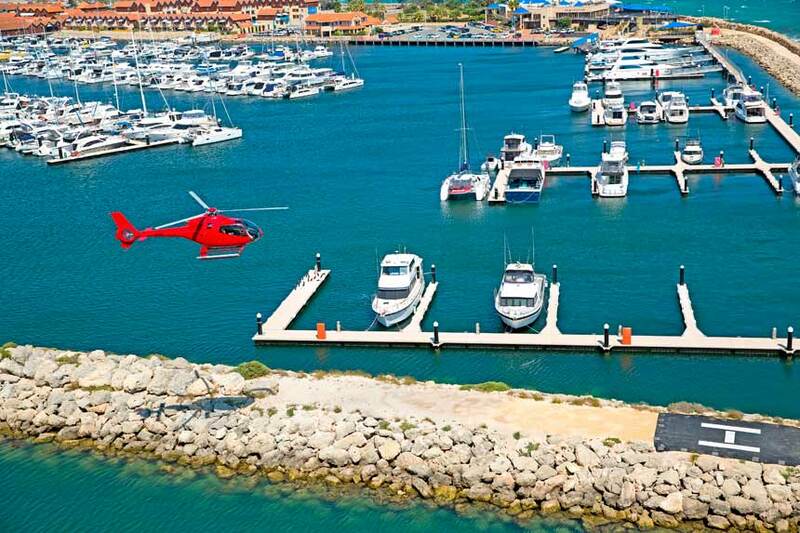 This flight takes off from Hillarys Boat Harbour. 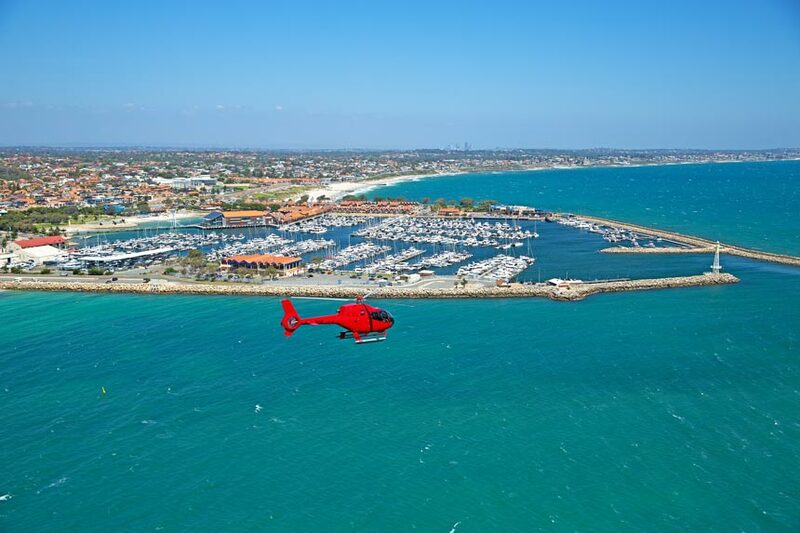 We’re the only helicopter company approved to operate from this premier recreational destination. This is a stunning location to take off from with spectacular views from the moment you lift off from the ground. 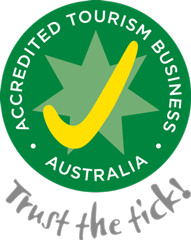 With a large range of eateries and shops you can enjoy everything the harbour has to offer from the ground and the air!! 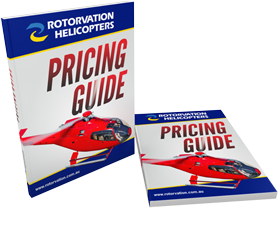 Click play on the video to see the full flight experience.